Assemble at Changi Airport for your flight to Shanghai. Upon arriving, proceed to visit Luzhi Water Town. 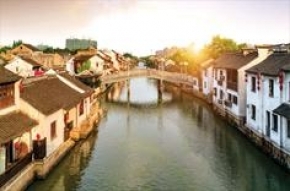 Located in Kunshan city about 11miles east of Suzhou, Luzhi is an old but extremely beautiful water town. With a history of more than 2,500 years, it compares favorably to Zhouzhuang Water Town. Then we will continue on our journey to Suzhou. After breakfast, leisurely spend some time at Qili Santang Historical & Cultural Street. Our next stop will be Lion Grove Garden (Shizilin), one of the four most famous and representative gardens of ancient classical style in Suzhou City. Then we will visit the world-renowned Silk Factory before we head for Wuxi. We will go to see the beautiful scenery at the small town of Nianhua Bay located in Wuxi Taihu Lakeside. After breakfast, we will visit the Turtle Head Isle, a place of interest in Taihu because it is as beautiful as Nature itself. Then we will visit the Zisha Arts Gallery where we will learn about how the best quality Zisha teapots are made. Guests will also visit the fresh-water Pearl Cultivating Farm then coach to Hangzhou. Today, proceed to Meijiawu to taste the famous Longjing tea and learn how it is made. Later, enjoy a cruise tour on the West Lake which is like a shining pearl nested in the vast land of China. Then we will be Viewing Fish at Flora Harbour, one of ten beautiful views there. Then we will continue on our journey to Shanghai. Walk around the Bund, the world famous waterfront which is Shanghai's financial hub. Guests have some free time to explore Nanjing Road, one of the main shopping areas in Shanghai. Start the day by visiting Tiananmen Square, the largest city square in the world. Forbidden City was the ancient Chinese Imperial Palace, once the home of China’s emperors. After that, go on a Trishaw sightseeing tour of Hutongs to see the traditional Beijing alleys & courtyards and learn about the culture and lifestyle of the local people. Tonight at own expense, enjoy the grand fantasy cultural show. Today’s highlight is the Great Wall of China, one of mankind's greatest engineering achievements. We will visit the Ming Tombs in which 13 out of the 16 Ming Dynasty’s Emperors were buried. A complimentary fruit-plucking will be arranged for certain period from Mar to Jun only*. After lunch, visit the immaculate Summer Palace, known as the Imperial Garden. Next, we will view the main venues of the National Stadium like the Bird Nest & Water Cube. After breakfast, we will visit the Temple of Heaven which was used for praying to the heavens for peace and good harvest during the Ming and Qing Dynasties. Then transfer to the airport for our flight home. 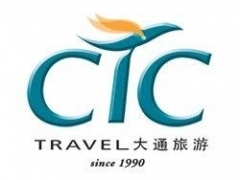 We hope you have enjoyed your trip with CTC Travel.